Imagine you're a tiny little seed down in the ground. Imagine you're climbing a mountain, riding a train or pedaling a bike. What would it be like to ride a kooky kangaroo or a ducky dinosaur? How does a kitty cat or scary ghost move? Nurture creativity by creating scenarios to help children explore their creative selves and let their imaginations soar! With ImagiBOP, you can do just that! 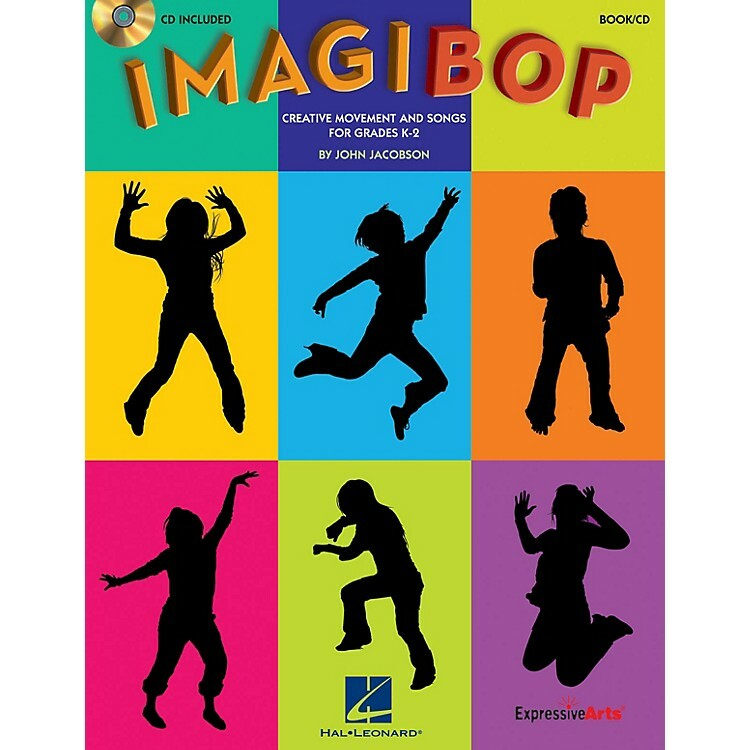 ImagiBOP is jammed-packed with songs, ideas, games, movement and creative extension activities for hours of imagination fun! Reproducible songsheets with chord symbols and lyric sheets are included in the book that can also be projected from PDFs on the enclosed CD. High-quality recordings with carefully designed sound effects will enhance the creative process, as well as provide performance and accompaniment options for singers. Creative minds are active minds. Keep them active this year with ImagiBOP! Available: Book/Enhanced CD (with reproducible pages). Suggested for grades K-2.